Foot Care Memory Foam Insoles: With flexible arch support, massage particle as well as heel cushion thicken design, WHX shoe insoles is good for foot pain relief, foot massage and outdoor sports (such as running, hiking, cycling, playing basketball, football, school training, etc). Soft and Comfortable Material: PU + Memory Foam + Silicone Gel Insoles features soft, breathable and shock absorption, which makes you comfortable all day. 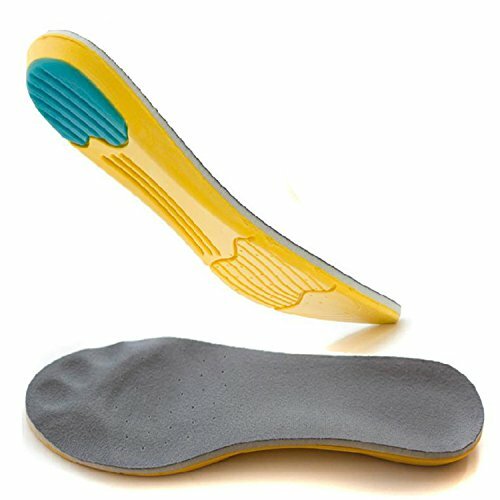 Cuttable Shoe Insoles: WHX memory foam shoe inserts fits for men with Size 8-13 & women with Size 10-15. You can easily cut your own size along the line and we suggest you follow your old inserts to cut the size. Application: Suitable for hiking shoes, sports shoes, casual shoes, flat shoes, boots and so on. If you have any questions about this product by WHX, contact us by completing and submitting the form below. If you are looking for a specif part number, please include it with your message.